Spices are not only the icing on the cake, they round up every meal and bring the flavour out. Depending in “which cuisine” you are at home, you will need different spices. This is one of the reasons why it is important to know beforehand what is on the menu. Typical for the German cuisine is salt, pepper, paprika, cinnamon, sugar and nutmeg. Salt is relatively easy to store. However, keep in mind salt will draw moister from the air and then it starts to clump. Therefore, it should be stored in in an airtight container. If too much salt is consumed it can lead easily to water retention in the body. Pepper can be used grounded or whole and should be stored in a dry place as well. Freshly ground pepper is very healthy and promotes burning fat. However, don’t overdo it, not everybody enjoys spicy food. Too much of it also can lead to an upset stomach. Once the pepper gets damp, it gets musty and loses its taste. Therefore, similar to salt, keep it in an airtight container. Paprika is also very healthy and available with various degrees of spiciness. As a rule of the thumb, the European Cuisine uses either sweet paprika or rose paprika. Compared to chilli, these varieties are very mild. Paprika too need to be kept dry. Once it gets damp, it quickly gets musty as well and loses its taste. You never should keep it open for too long. Whenever you buy a jar of paprika, look at the expiration date and use it up within this time. Important, whenever you see a white discolouration in paprika, this might be a sign of mould and the spice has to be thrown out. Cinnamon is very popular, especially when eating semolina and rice pudding. Usually, you get cinnamon in little jars. Here goes the same like with paprika. Stay well within the expiring date. Its taste is pleasant and mild. And it goes excellent with the well-known apple compote. Sugar is the all-time sweetener. Whether you use it to sweeten tea or coffee of for sweet desserts, make sure that you dry, because once it gets damp, it will clump as well . Nutmeg is ideal for sauces to give your dishes a nice and rounded up taste. Again, dry storage is of enormous importance. 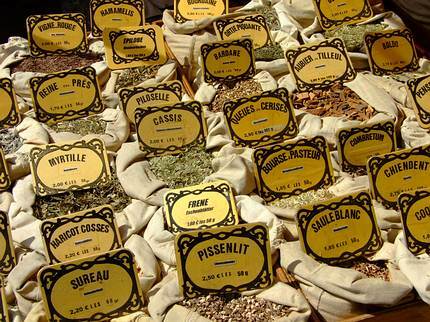 Other important spices in European cuisine are herbs of all kinds. Especially chives, parsley and sage, should be used where possible as fresh herbs. However, it is also possible to acquire the herbs freeze-dried. These must then be stored in a cool, dry place. Rule of the thumb, if you keep any spices open for too long, the will lose their colour and flavour. It is advisable to buy spices rather in small quantities so that they can be used in a reasonable period. Those who know how to handle and use spices can give every dish a very special touch.